this is really cool I wonder if you can use them for R.V’s and campers too? GREAT POST! Definitely! I’m sure they’ll be more compact, lighter weight, higher performing and longer lasting than what’s currently available. Would work great for RVs, campers and of course Tiny Houses! This is really exciting. interesting that they are “bucking” the oil industry. Maybe that will spur further developments in this area. thanks for sharing, Hans. Yes, if anyone can do it, perhaps Tesla Motors can do it. They have a great product that’s superior in most ways to what’s currently out there and the prices are coming down. Hard to beat! This is WAY cool Hans….wow…this will open up so much for those living in Tiny Home Communities. Yes, with Tiny Houses on wheels especially, it’s all about space and weight. 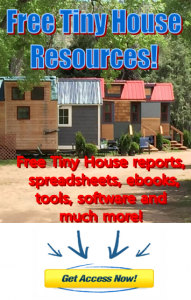 This will make Tiny House living even easier, better! I’m wondering if you have a blue print for your trailer? I live just north of Vancouver, so getting a trailer from Alabama may be difficult. I really don’t have anything like that, we sketched a few things on a piece of paper and the the manufacturer built it from there. Looking at it though you can see how its built from the pictures, not too many tricks or anything that fancy really. Hope that helps!